The West Kootenay EcoSociety’s 100% Renewable Kootenays Campaign to phase out fossil fuels and transition the region to 100% renewable energy by 2050 gained more support at a local movie night at the Castle Theatre in Castlegar on Saturday, April 6. The event consisted of a mix of entertainment, education and Cycology Bikes of Castlegar generously donated door prizes. 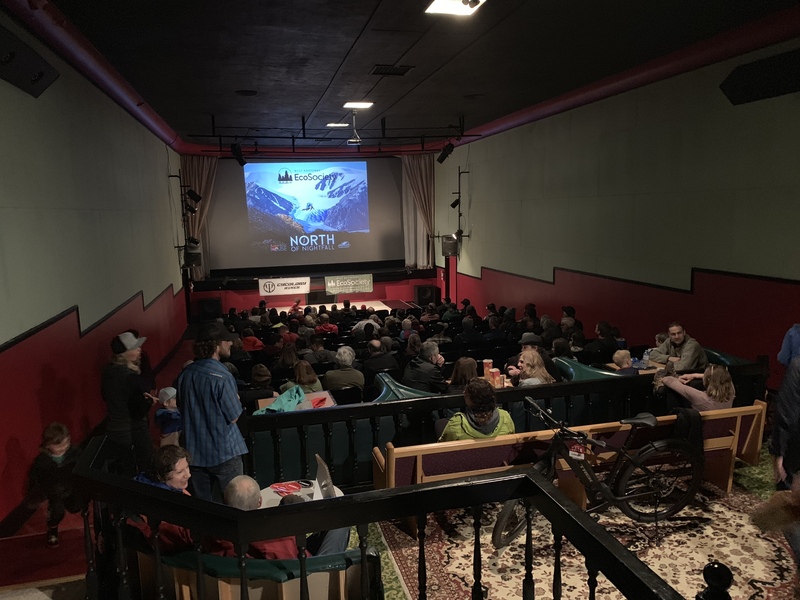 The event drew a full and enthusiastic crowd where North of Nightfall—an adventure documentary featuring acrobatic mountain biking set against the striking landscape of an uninhabited island in the high Arctic—was screened. Directed by Jeremy Grant of Nelson, the film also explores the impacts of changing climate on the fragile ecology of the far north—its contribution to accelerated Arctic sea ice melting, retreating glaciers, and other unprecedented climate trends. While these are serious challenges, they also motivate us to take positive action. For West Kootenay EcoSociety, the action begins with building community-wide support with our neighbours by signing the Campaign petition to inspire the Castlegar City Council to develop and implement plans to transition to 100% renewable energy sources within the next 30 years. 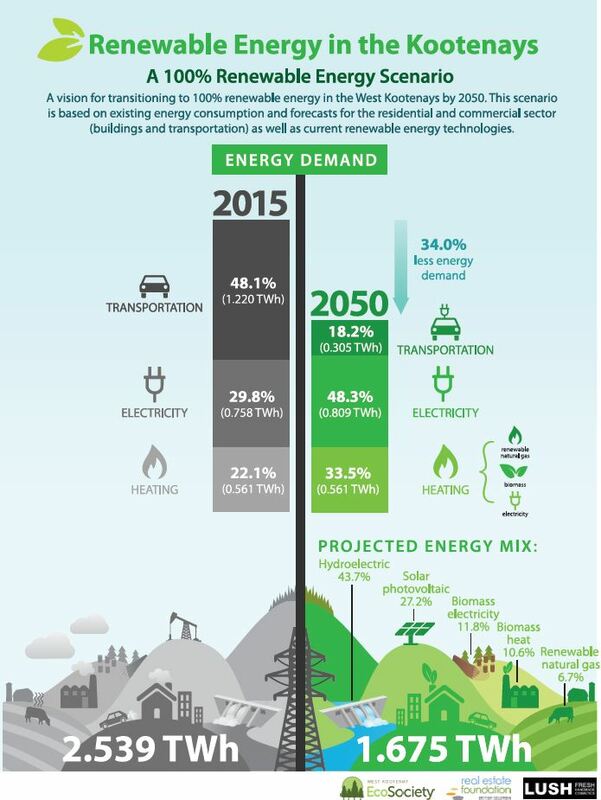 Since 2018, Nelson, Rossland, Slocan, New Denver, and the Regional District of Central Kootenay (RDCK) have pledged their commitment to the goal of being 100% reliant on renewable energy generation by 2050, joining 7 other municipalities around Canada and hundreds more globally. At last Saturday’s screening, the case for change was made abundantly clear. The petition drew over 70 new signatures from the Castlegar community. Email natasha@ecosociety.ca for volunteering opportunities.